They call them Almondrones (almonds) but they are more like cockroaches and their cousins, the beetles. They are all large, some are dark in color and look like they have been through a war. Others gleam and glisten, sporting brilliant colors and glossy skins. Like insects, they appear to be fixed on their destinations with a vengence. They roar about town, taking a run at even the slightest incline and they are usually carrying a full load. They are of course the cars. 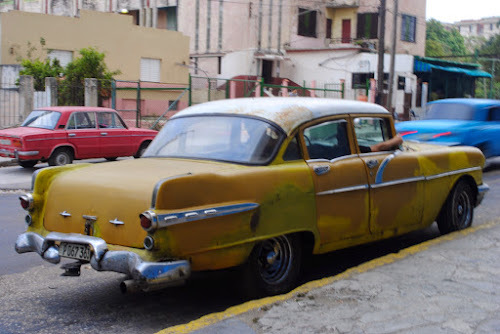 Pre embargo automobiles left over from a time when havana was alive with party goers, gamblers, musicians, artists and holiday makers. 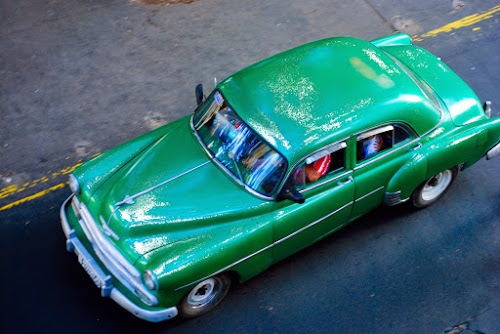 In Cuba there are few people who can afford their own vehicle unless they are taxi drivers in which case they provide a service by plying the main calles as public taxis. 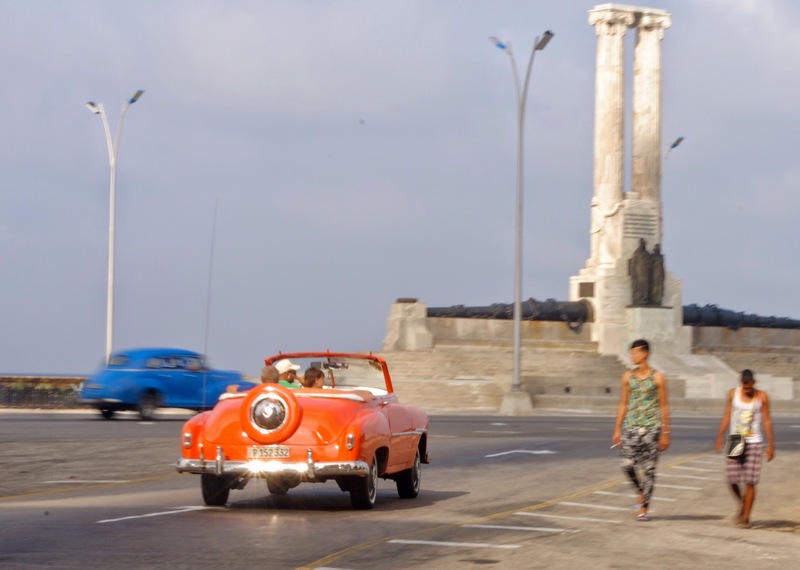 And no wonder as the public buses are always packed, nose to nose as my Cuban friend describes his daily commute. Often these are the legendary vehicles from the 40’s and 50’s that have survived the passage of time with the greatest of loving care. 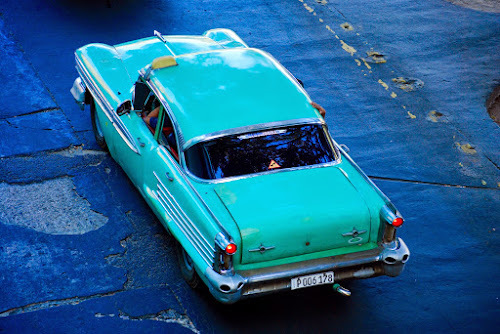 To hail one of these taxi’s you stand along the curb on a main artery and stick out your arm, using your fingers to message the driver, telling him how many passengers and about where you are headed. As the taxi slows you shout out your destination and the driver will either stop for you or not. Squeezing in the long bench seats in the front and back of the taxis can bring you into some close encounters with Cubanos, generally of a friendly nature. A CUC will get you all the way form Parque Central in downtown Havana, east along Neptuno to the University of Havana. 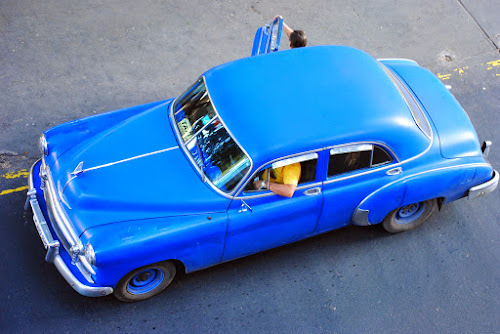 This kind of ingenuity captures the spirit of the Cuban people who have spent their lives making do and getting by without many of the simple pleasures and privileges that much of the rest of the world enjoys. Nothing is thrown away, nothing is wasted, there is a repair shop for everything and mechanical skills are at a premium.